One of the quickest and most effective means of improving indoor air quality is through adequate ventilation. Bringing fresh air in and removing contaminants boosts the health, cleanliness, and comfort of your home. Unfortunately, opening windows isn’t always an option, and you’d like to avoid exterior noise pollution, fumes, bugs, pollen, and safety risks. Fortunately, Jarvis Heat & Air, LLC has the perfect solution for home and business owners across Gainesville, FL and surrounding areas. We specialize in whole-home ventilation systems. A ventilation system provides all the benefits of opening windows with none of the drawbacks. You enjoy a steady influx of fresh air without energy losses. In fact, modern ventilators help with heat recovery in the winter and dehumidification in the summer, reducing the workload of heating and cooling equipment. 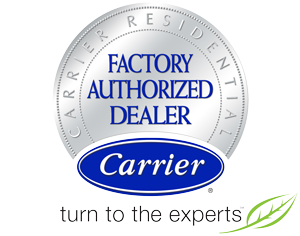 Recognized as a Carrier Factory Authorized Dealer, Jarvis Heat & Air, LLC has a ventilation unit that’s perfect for your size of indoor space, HVAC equipment, and expectations. We handle start-to-finish installation, customizing our recommendations to suit and ensuring peak performance and rewards. Get in touch with us at 352-316-4573, for further information and quality service across Gainesville, FL.